On this day in 1835, the U.S. Congress announced that it had just paid the national debt. This was the first time the country had acheived a debt of $0 – President Andrew Jackson entered office in 1829 when the national debt was $58 million ($1.6 to $35.1 billion in today’s dollars, depending on how inflation is figured); at the time the debt was paid, the U.S. had a surplus of $440,000. Within the year, the government was back to running at a deficit, a situation that has remained constant since then. On this day in 1958, revolutionaries in Cuba, lead by Fidel Castro, completed their takeover of Havana. The 2019 Moon Calendar is currently available from The Experiment Publishing. 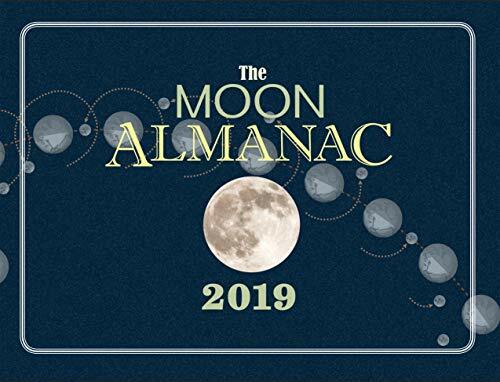 The 2019 Moon Almanac and The Moon Book 3rd Edition are also available. Click through for purchase options.